Over 20 layers of habitation, one atop the other, make up Tel Megiddo in the north of our mystery country. An important Egypt-Mesopotamia trade route crossed the Carmel Mountain ridge at a pass near the settlement. This is Armageddon (Greek for Megiddo) of the Book of Revelation, where the final battle between the forces of good and evil is prophesied to take place. Click to see Israel tours. 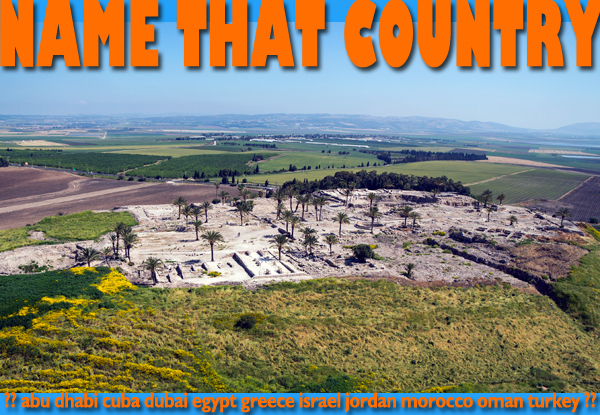 This entry was posted in name that country quiz and tagged Israel, israel tours, megiddo by yalla2013. Bookmark the permalink.